A basic woodcarving/technique class for novices and those with intermediate skills will be held on the New Martinsville campus of West Virginia Northern Community College starting in October. Conducted by John Tomaszewski on four consecutive Mondays, 5:30-8:30 p.m. Oct. 17-Nov. 7, participants will learn the basics of carving wood with a knife, knife safety and sharpening. Class members will be taught how to carve a whimsical bear from a block of wood. Cost will be $15 per person. Registration for the class is being accepted at any of the college’s campuses during regular business hours. Call 304-455-4684 for more information. Tomaszewski has been a member of the Oglebay Woodcarving Association since 1995. 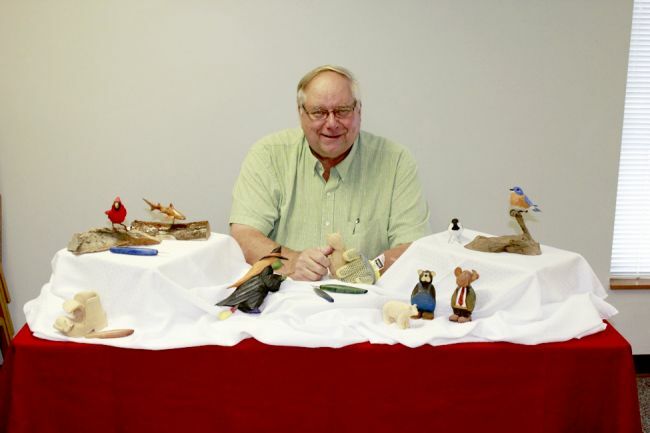 He has participated in the Oglebay Woodcarving Show during Memorial Day weekend and has been juried into Tamarack with “Bird Carvings” and has completed many other carvings.